Every living thing progresses through life cycles, often with bugs we only see the adult stage. In awe filled photography we are able to see complete life cycles of insects and spiders from eggs to larvae, pupa to adult. There is a description of each insect, order it belongs to, and trivia facts for each insect displayed. This is by far one of the most interesting bug books I have ever read. It also includes a top host and nectar plant guide, comparison guides for each stage of the life cycle, and briefly touches on plant and soil life. Again, Amazing photography, simple yet very informative for all ages! 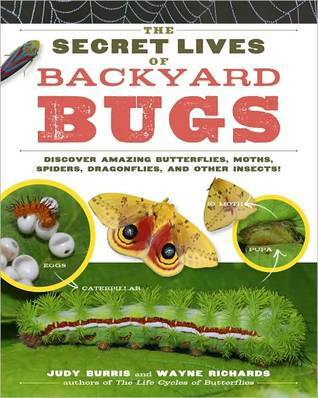 Detailed descriptions and photographs make this book interesting even for those who aren’t overly found of insects. I received a copy of this book from Storey in exchange for an honest review. Thank you so much for a wonderful review of our book!